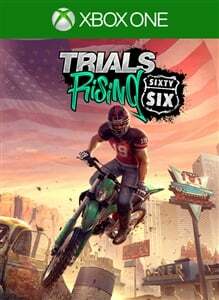 In Trials® Rising Sixty-Six, cruise and crash accross the US along the famous Route 66 to experience the splendor that is the Land of Opportunity! 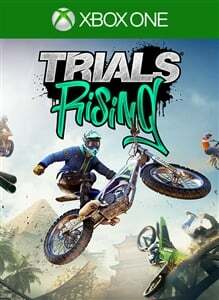 Explore over-the-top action and physics-bending motorcycle racing in Trials® Rising, the latest edition of the Trials franchise. All new features, more competitions, and more tracks mean new challenges! Pre-order now to receive the Jungle Rider Pack and the Wild West Ride Pack! Includes the Game & 55+ tracks with the Expansion Pass! Explore over-the-top action and physics-bending motorcycle racing in the latest entry of the Trials® franchise. With new tracks and more ways to compete, Trials® Rising is easy to pick-up and play, challenging to master and offers the best multiplayer racing experience. Includes 55+ tracks with the Expansion Pass! Explore over-the-top action and physics-bending motorcycle racing in the latest entry of the Trials® franchise. 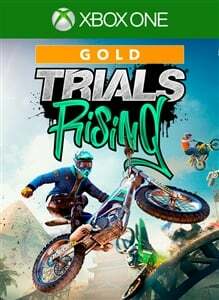 With new tracks and more ways to compete, Trials® Rising is easy to pick-up and play, challenging to master and offers the best multiplayer racing experience. 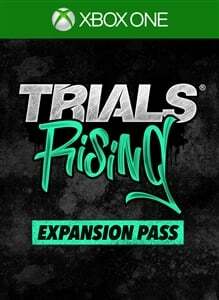 Extend your world tour with the Trials® Rising Expansion Pass, which includes 55+ additional tracks to master! Also, explore the American Southwest in Trials Rising Sixty Six, and then adventure below the equator in Trials Rising Crash and Sunburn!